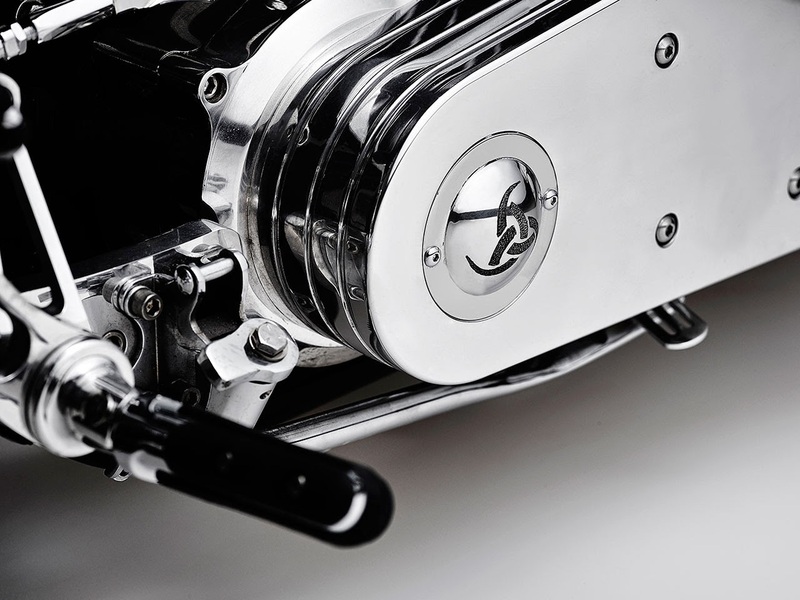 Lauge Jensen motorcycles is today unveiling the Viking Concept at the Top Marques luxury brands show in Monaco. 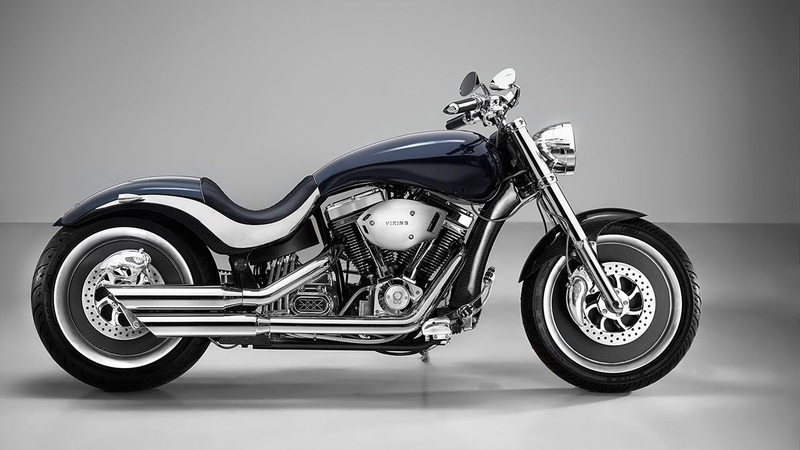 This premium motorcycle is a design study that blends the talents of two of Denmark’s most creative talents: Anders Kirk Johansen, an industrialist whose family invented LEGO™, and renowned vehicle designer Henrik Fisker. The Viking Concept points to a possible volume-production direction for Johansen’s Lauge Jensen brand, following his acquisition of the company in 2012. Johansen commissioned world-renowned automotive designer Henrik Fisker, previously a design chief at both BMW and Aston Martin and the designer of the Fisker Karma, to design the Viking Concept. 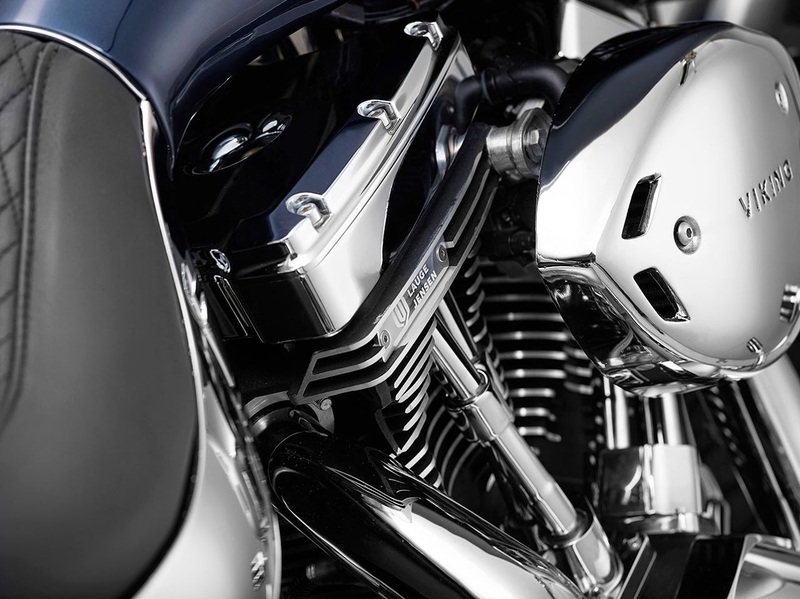 The result is a bike that retains a classic cruiser look sculptured into a dynamic, flowing design. 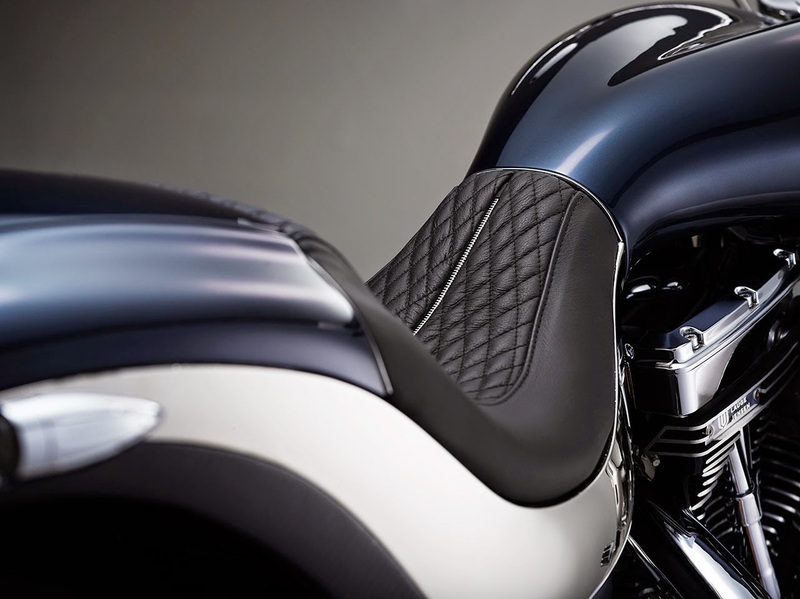 In particular the tank, seat and rear fender blend together to create a seamless effect. Fisker believes this to be unique in custom motorcycles. 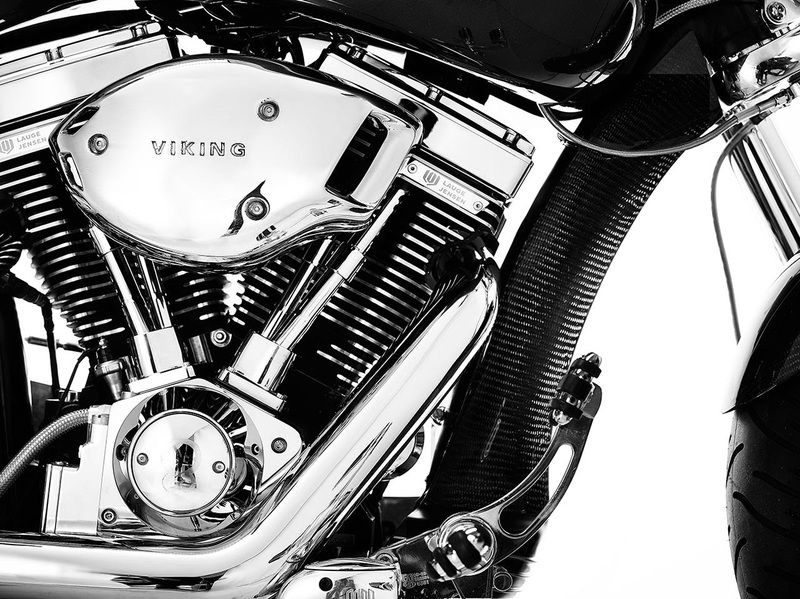 The Viking Concept is powered by a 45-degree V-twin producing 100hp, making the bike capable of more than 130mph. Yet it’s the first motorcycle of its type to comply with new, much more stringent Euro IV emissions regulations that come into effect in 2016. 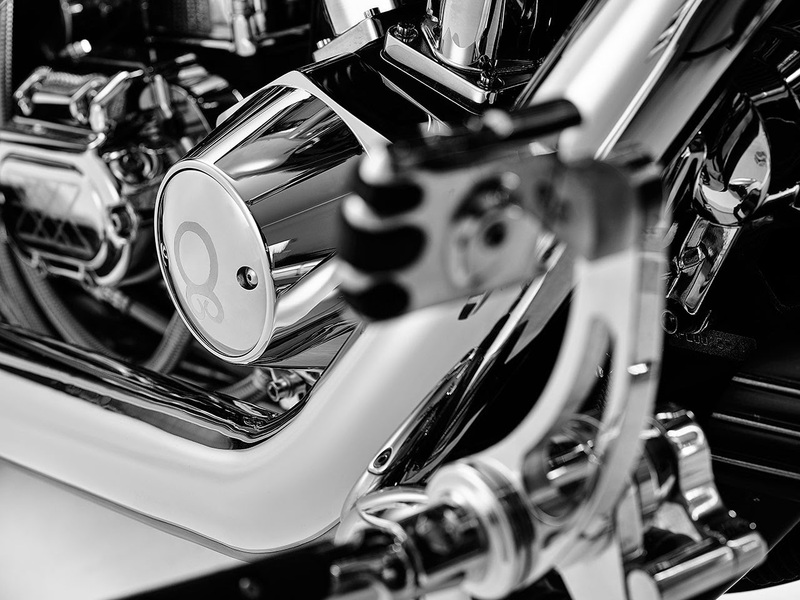 The engine, built in Wisconsin, USA, has been carefully developed and tuned to achieve this without losing its trademark V-twin sound or soul. Johansen and Lauge Jensen are proud to have achieved the new emissions targets without compromising the engine’s performance, safeguarding the production and character of future products. 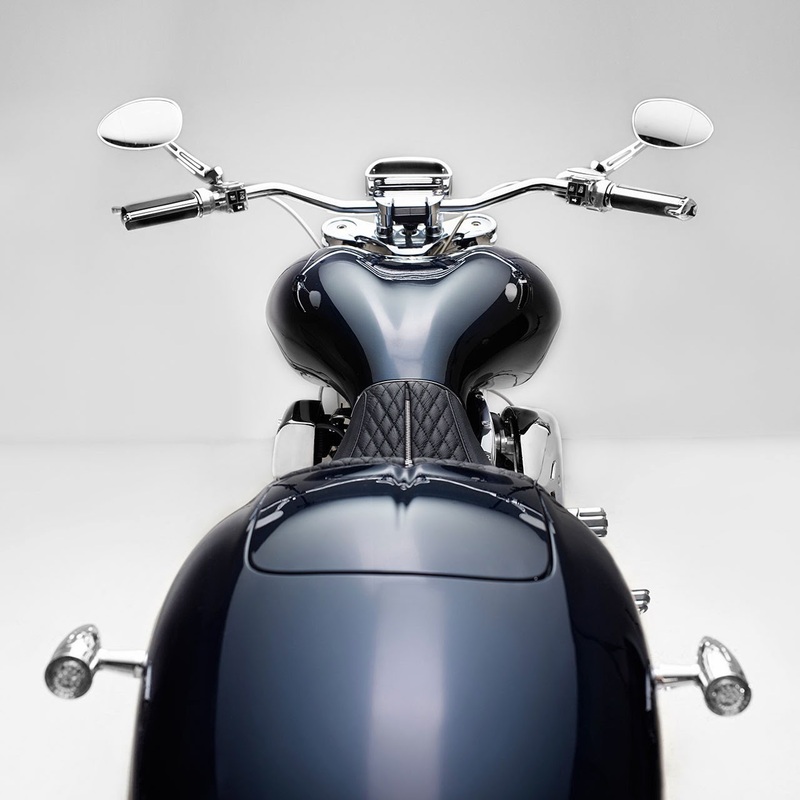 Lauge Jensen currently produces the limited edition Great Dane custom cruiser, which starts from €42,800 euros. The company intends to build a bike based on the Viking Concept at higher volumes and with a lower price tag than the Great Dane. Commenting on the design collaboration, Anders Kirk Johansen says: ‘We have been developing the Viking Concept for some time, so I am delighted to reveal it today here in Monaco. Potentially, it’s the next step for our company beyond our limited production Great Dane custom bike. 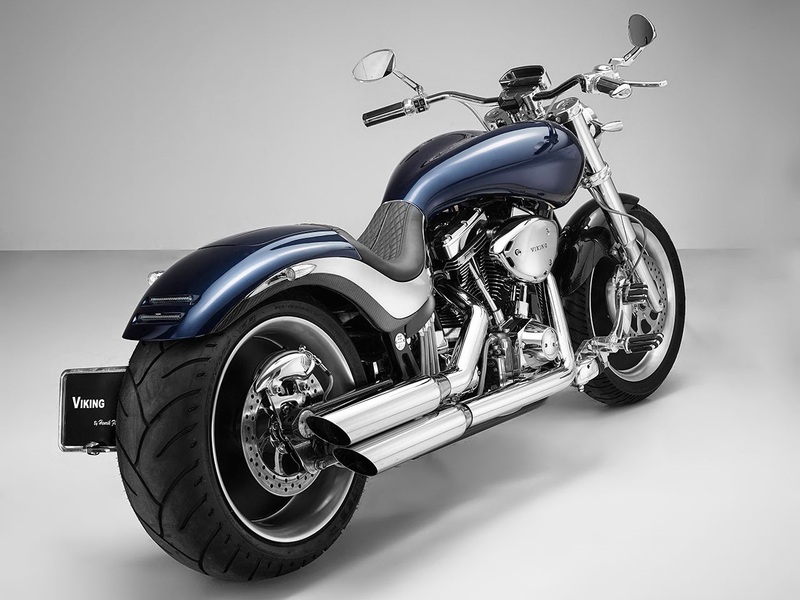 Henrik Fisker added: ‘It’s been a dream of mine to design and create a motorcycle for many years and this is the first time I have the freedom to go and do it.